“Gamification” has become a full-fledged movement. It started with social media, then spread across industries as marketers discovered the allure of points, badges, challenges, and rewards as mediums to making almost anything seem like more fun. These efforts to attract users met with varying degrees of success, but critics worried that such “funware” was just glorified “bling” that delivered little in terms of value. Then Jane McGonigal gave her much-circulated TED talk on how “Gaming Can Make A Better World”, and the concept of gamification began to enjoy new-found respect as a driver for community-building and a motivator for real-life change. Really, gamification doesn’t have to mean making a game out of everything, nor does it mean that reward schemes must be slapped onto every product and pursuit. In its simplest form, applying a “gaming mentality” to a project involves simplifying the real world into a distinct cause-and-effect structure within a certain realm, making it easier for people to interact, share, and problem-solve. Community enthusiasts would be wise to examine the possibilities inherent in gaming, in order to discover ways that its effectiveness could be applied in place-building. “What we do in a game is create a simplified model of the world so that it’s easier to know what behaviors we can do to win or lose or what kinds of strategies might work,” explains Arthur Brock, Founder and Systems Architect at the MetaCurrency Project. That sounds like a community planner’s dream come true. 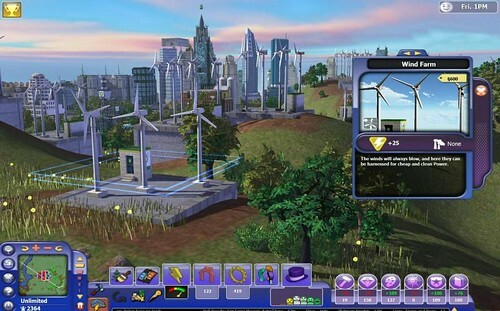 The ability to simulate real life through gaming, and experiment with outcomes (like in the alternate-reality game “World Without Oil,” which took players through a global oil crisis and explored options for handling it) could give us an added edge in planning for better living spaces. Trial-and-error could happen in the virtual world (at least to some degree) instead of the real-life one. Getting people “on board” is a perennial challenge for leaders of the public sector. Gaming elements can be used to attract participation and feedback or to spark interest in a project. They can even be used to encourage real-world interactions and boost local economies, as happened with the Macon Money social game powered by the Knight Foundation. This “serious game” explored how diverse people within a community could be brought together using real-world incentives (in this case, players holding half of a “play bond” tried to find the local citizen bearing the other half, then turned in their play money for real cash). No matter the incentive, gaming concepts can draw people into taking interest and becoming part of something bigger than themselves. The gaming revolution is still being refined. While we are learning about just what games can do to improve our places and spaces, it’s important to recognize the potential good that can come of sparking humanity’s inner child. When it comes to building great communities, the “gaming layer” may prove to be — well, a real game-changer.